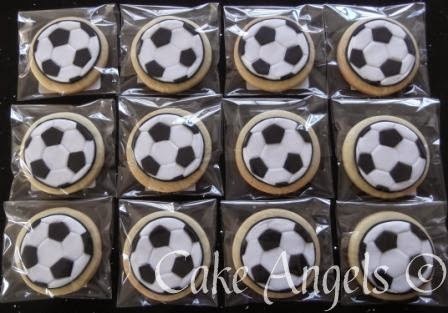 Cake Angels: Cookies for Kick Off! 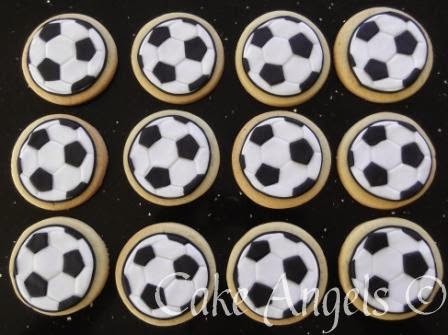 The Cake Angels created these cool Soccer Cookies for a Soccer themed Birthday Party. 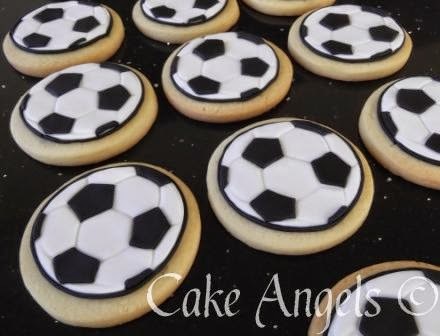 Soccer Ball Cookies - what a perfect way to kick off your Soccer Party! They were a huge hit with all the kids, and they looked fantastic too. So a huge thank you to the Cake Angels team, especially as it was at short notice. Thanks for accommodating us, and I will be highly recommending Cake Angels to my friends.